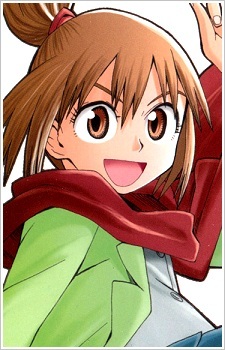 An enthusiastic young girl, and one of the protagonists, though she does not appear to have an animal partner. Her body is extremely strong, enough to do a hundred push-ups with Amamiya on her back or destroy a golem in one blow. She wants to save the Earth from the Biscuit Hammer, but her reason for doing so is so she can eventually destroy the world herself. Later on, she admits her love to Yuuhi.